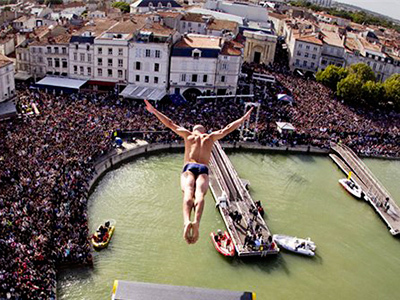 The cliff diving season has ended with the Red Bull World series grand finale in Ukraine. Russia's Artyom Silchenko wrapped up his campaign in style, notching up his sole stage victory of the year with the highest total score in the sport's history. ­For the final stage of the season, 13 of the world’s best cliff divers made their way to the Swallow’s Nest Castle – one of Ukraine’s main places of interest on the Crimean shore of the Black Sea. All eyes were on two athletes. The first was Englishman Gary Hunt, who entered the event as the newly-crowned champion, with four stage wins in a row seeing the Briton retain his world title two weeks ago in Boston. 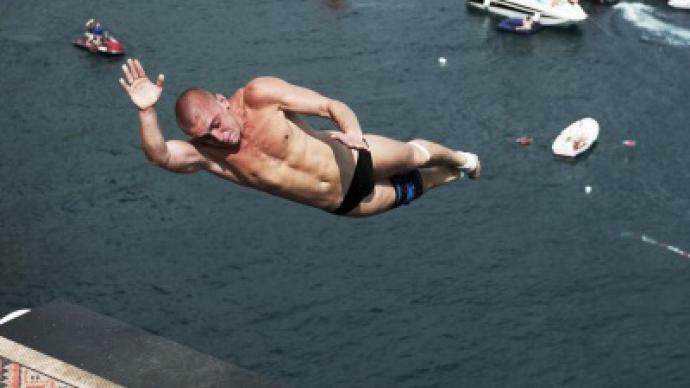 The other was the man who took second in the overall standings, Russian cliff diver Artyom Silchenko, who was looking to claim a first event win. It was Silchenko who took the lead after the first three rounds of the competition, with flawless execution putting the Voronezh native ahead of Hunt. And then to the finals, brilliant Brit Hunt once again unleashing his ace in the pack – the so-called triple quad. Although it was Silchenko who stole the show at Sunday’s event, demonstrating one of the hardest dives the sport has ever seen – a back armstand dive with blind entry. The Russian entering the water with his head held high, with the outcome clear before the judges had even showed their scores. It was the first top-placed podium finish of the season for the 27-year-old and fourth of his career. However, it turned out to be more than just a win, with Silchenko claiming the highest total score the competition has ever seen. After winning the first two stages this year, nine-time World Champion Orlando Duque was forced to leave the competition due to injury, but he has now recovered, meaning the 2012 season is gearing up to be one of the most thrilling on record. 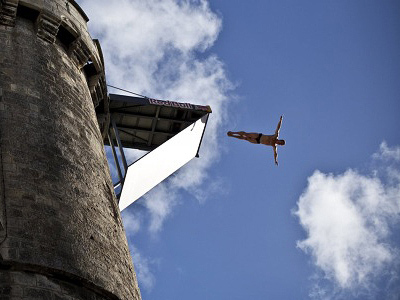 The World Cliff Diving Series 2011 has just come to an end with the best athletes of the sport having taken the honors. But the point is that each of those who take part in this mesmerizing competition can be safely called an outstanding sportsman.